GUNFIRE flashes from a building, men run out fearing for their lives and the moment is punctuated by a flying lounge - surely there is only one man in this universe that can be responsible for such a sight. Pops' death sent shockwaves through the small circle of which we have met so far. 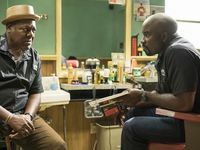 He was involved with everyone: a father figure to Luke Cage, a former associate of Cornell Stokes/Cottonmouth and had a close relationships with his barber shop's many customers. It has already affected Cage, who now appears focused on the words Pops used frequently repeated: forwards, always. It is a recurring theme in not only "Who's Gonna Take The Weight? 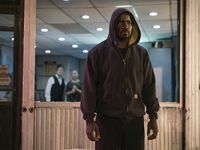 ", but feels as if it will be the motivation for Cage in episodes moving forward (pun not intended). 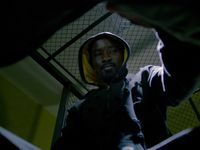 For Cage, forwards means to take down Cottonmouth: he wants to hurt the crime boss. For the viewer, it's time to see Cage's abilities in action. While he plots in the background, Misty Knight and Harlem's police are working to uncover who is responsible for the recent spate of murders. Misty and Cage's tryst in the opening episode becomes part of every interaction, every bit of dialogue between the pair. They both make progress on their respective missions, but for Misty, nothing about Cage adds up. 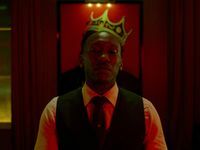 How he survived the shootout at Pop's barber shop is the main question, but she can't work out how he fits into both Pops and Cottonmouth's circles.